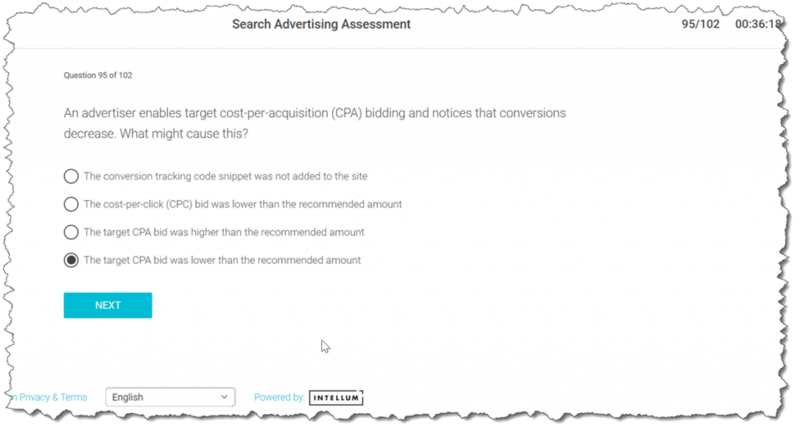 Explanation: If you notice a drop in traffic (clicks and conversions) after setting up a Target CPA bid strategy, there could be a few things going on: Your target CPA might be too low. You may want to compare your target CPA to the historical average CPA of your campaign. If your target CPA is significantly below your historical average CPA, your target CPA may not be attainable while maintaining reasonable levels of traffic, and you should consider raising your target.